Q. I was given this plant for Christmas without a name or how to care for, can you help me?the lady who sold it to my daughter-in-law didn’t even know the name. 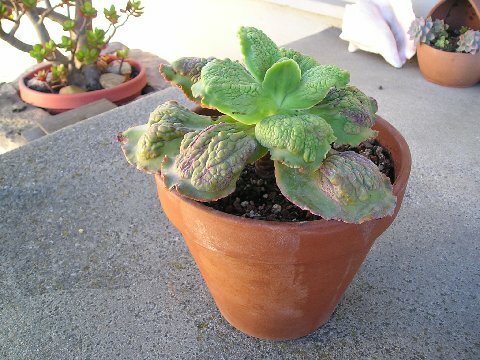 Your plant is Echeveria gibbiflora var. carunculata, a member of the Crassulaceae family, from Mexico. It develops stems up to 50 cm high, topped with rosettes up to 30 cm wide, each with 15-20 gray green leaves 15-30 cm long, flushed with blue to pink hues. It also has inflorescences (lower heads) to 1m tall, with pink flowers. Each leaf develops a group of bumps, “carunculae”, on upper surface of leaves. As the plant grows the carunculae will grow large and add more beauty to this rare and unusual plant. Likes fresh air with bright light or full sun. Drench thoroughly, then allow to become moderately dry between watering. Here’s a picture of this plant, from the Internet. 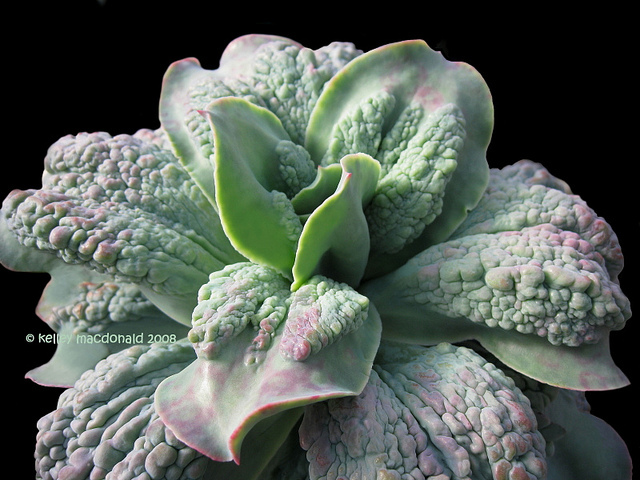 This entry was posted in Q&A and tagged succulents by tomkarwin. Bookmark the permalink.